We have now also had some discussions with Sustrans staff who have assured us that there will soon be a clear piece of published guidance on side streets, and now, just this week (six weeks after we emailed), we have had a response in from the council. Further to your email dated 2nd February, which I believe was subsequently discussed with Cllr Richardson, please find attached our response. The Council’s primary design reference guide is Cycling by Design. However, we are aware that this requires a refresh as it was introduced before we had many segregated cycle routes in Scotland. 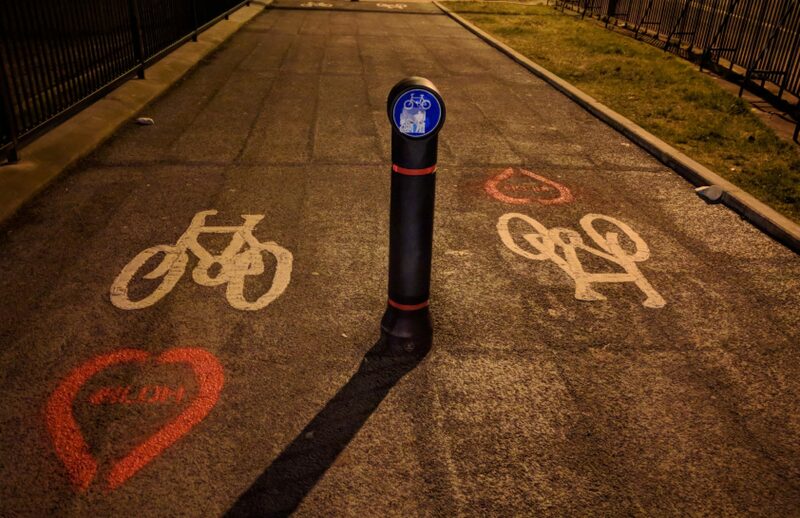 Glasgow has been the pioneer in the installation of segregated cycle routes and also considers other design guidelines produced by TfL and Sustrans. The concept designs for South City Way have been widely consulted on and a pilot was undertaken to show how the first section would look. The current section is still under construction and all the lining and signing has not been completed for this section. · Stage 3 – After Construction. This is undertaken on site, where an external auditor, Police Scotland and members of the design team attend. The Audit Team will examine the scheme site during daylight and during the hours of darkness, so hazards particular to night operation can also be identified and the comments raised will also be highlighted to the audit team. Any issues that have also been raised are also highlighted. We will ensure that your comments are also highlighted as part of the Safety Audit review process and will consider your observations in a part of the design process in future schemes. We don’t feel that there is an awareness of the urgency we believe is required within this response and so have reiterated why. Thank you for your response dated 18th March. There was no attachment to your email but we trust that the text below was the response you referred to. We need to press on the urgency of a safety audit for the latest side street junctions on the South City Way, including those currently under construction. Presumably your procedures for major cycling schemes audits are new, and being that you admit that guidance in safely designing segregated cycling routes is lacking, we feel it is pressing that should safety be flagged up as an issue, as we and many of our members have done, that an urgent and intermediary safety audit is performed. It is clear that as it stands, there is going to be a collision at this junction soon, and we should be doing all that we can to prevent that. Not only that, but were this treated with the urgency we think it needs, a swift redesign that takes safety into account would prevent further danger being built into the rest of this major cycling scheme. We have after all, been promised that the SCW “will ensure safe cycling every inch of the way”. We also don’t believe that it is enough to leave the danger built in to SCW and only consider different designs for future schemes. If the audit outcomes are deemed as dangerous, could we suggest that the side streets have a lot of potential to be filtered from traffic. We appreciate the limitations that come with the current Cycling by Design guide and believe that Sustrans are working on updated guidance for side streets. GoBike would encourage you to look further afield in the meantime though and would point out that while Glasgow certainly are indeed pioneering with regards to segregated cycle routes in Scotland, segregated cycling routes are most definitely not anything new in other nearby countries. Thank you also for considering our observations and links to other guides as a part of the future design process. Can we please press again on the urgency of the need for an immediate safety audit and redesign. We are desperately aware that the safety of people on bikes is currently at risk on the South City Way and feel that a timely response that reflects the imminent danger is required. It is clear that design guidance is desperately in need of a refresh. Not just from a safety perspective but also for the sake of other projects going into the ground. We are also finding other great new schemes are falling down in other areas such as the pedestrian crossing at the Avenues end at Charing Cross that we detailed in our last digest (section 3.3). And it is also clear to us that if something dangerous is put into the ground, the danger needs to be rectified as a matter of priority. We hope that the council will hear our plea to look at this soon – we believe that the South City Way can create a wonderful space for cycling and want to ensure that it is fully safe and usable from the outset. If you have any comments or issues with the side streets, please let the council know on sustainable.transport@glasgow.gov.uk . Our collective voice can help to add credence to the issue within the council. Previous PostPrevious Consultation Digest Issue 30, 19 March 2019: Get your views in now to the SPT regional survey and the Get Glasgow Moving petition, and is transformation possible?